Impeccable results tailored to each individual patient’s goals and anatomy. An in depth understanding of the face’s central position in beauty and expression. A commitment to cutting edge technologies and techniques. Joshua D. Rosenberg’s practice of Facial Plastic and Reconstructive surgery in New York City is the ideal pairing of Form and Function, utilizing his expertise in the subtleties and nuances of face and its intricate anatomy to achieve sophisticated, natural results. Dr. Rosenberg’s training and experience in the full breadth of facial cosmetic and reconstructive surgery is the touchstone to his practice of Facial Plastic and Reconstructive Surgery. His attention to detail and personalized approach to every patient are coupled with his innovative approach to the most complex surgical procedures. The essence of Form and Function, Dr. Rosenberg and his staff will guide you to beautiful, natural results. Facial alterations through plastic surgery or cosmetic procedures require both medical skill and an artistic eye. Patients want results to look natural and blend in perfectly with their other features. Dr. Rosenberg’s attention to detail and personalized approach with every procedure is apparent from the stunning results he achieves. From facelifts and facial nerve paralysis surgeries to minimally-invasive cosmetic treatments, you can expect the highest level of skill and artistry when you choose Dr. Rosenberg for your procedure. 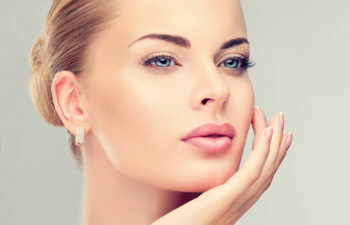 Choosing a facial plastic surgeon is major decision. Dr. Rosenberg is widely recognized for his thoughtful and innovative approach to facial beauty and function. Whether you live in the New York City area or are coming from out of town or abroad, Dr. Rosenberg invites you to meet with him and discuss your goals and options. Contact us to schedule a consultation in New York City. For patients outside of the area, consultation via phone or facetime can be arranged.